To pay taxes to the budget is the responsibility of all individuals and legal entities. Therefore, the question of how to find out tax arrears at the INN is always relevant. Currently, there are numerous ways to find out what amount you need to pay to the budget, both online and in person. In 2009, FNS has provided taxpayers the opportunity to find information about tax debt through personal Cabinet on the website of the tax service. Now for a tax you do not need to wait for a letter with a receipt or to stand in long queues. To find information about tax debt, the natural person must have the testimony was. It can be obtained in the tax at the place of residence. If this document for any reason, no, you need to know your identification number on the phone to the local FNS. 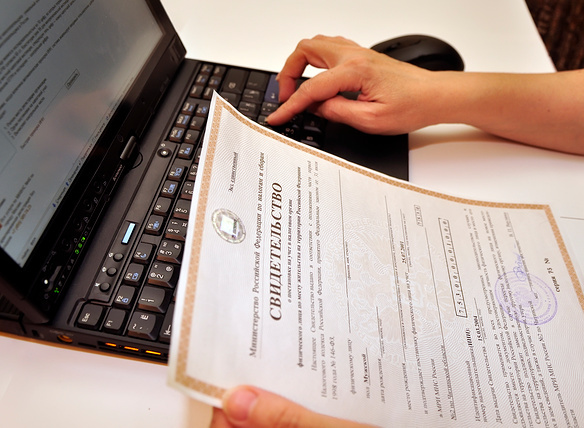 To find out the tax liability for VAT online, you need to go to the portal of the tax service at https://service.nalog.ru/debt/. To log in to your personal account you must first obtain a username and password. To do this in person with your passport to come to the office, on the place of permanent residence only once, and then freely use the resource. After you log in to your personal account you must enter personal information and search information about the debt. When you need online you can print a receipt for payment of the tax. To create a receipt, you will need Adobe Reader. If it is not installed on your computer, you can download immediately on the portal of tax. A few days after payment you can in the same way to check the information about the payment arrears of the taxes on the INN. To know the state of account of a taxpayer physical person can be a portal of state services at gosuslugi.ru. To retrieve data you will also need a username and password. In the local FMS, you can find short number to send an SMS to find out the debt at the INN. This number in the indicated format tax should send a message containing the identification number of the taxpayer. In response you will receive information about the amount required to settle tax debt. Note, however, that know taxes via SMS only on paid basis. The cost of the message is determined by the operator. The receipt for payment of arrears of tax in this case can be downloaded from the website of the FTS at the place of registration, making it the amount which was received in SMS. To know the tax liability for VAT, if you do not have a password to your personal account on the website, without reference to the inspection still will not work. To obtain the necessary data, you need to defend at least once a turn. There you can immediately get all the necessary data and the receipt for payment.